Two people have been taken to hospital after a one-car crash in the Highlands this evening. 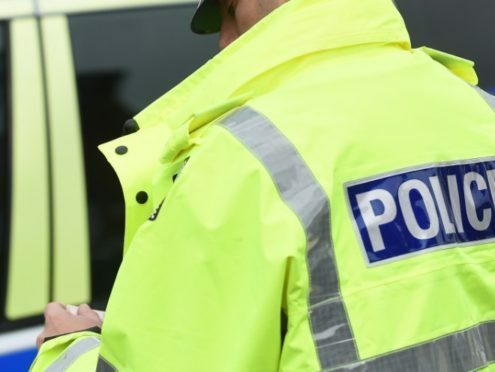 The incident occurred on the A87 in Kirkton, near Kyle of Lochalsh, shortly after 5pm – sparking a hasty response from emergency teams. Police were called shortly after and sent multiple officers to the scene to assist the firefighters and paramedics also in attendance. Firefighters on two fire engines from Kyle of Lochalsh and Broadford used cutting gear to free one stranded casualty. It is understood a fellow passenger managed to free themselves from the wreckage prior to the emergency services’ arrival. Both casualties were checked over by paramedics and were transferred to Broadford Hospital on Skye for further assessment. The trunk road remains closed in both directions as teams continue work at the scene. It is expected to remain shut for some time. Motorists are being diverted via the A890 and Plockton however the road is not suitable for HGVs as it is mostly single track road.